In our Writer’s Notebooks this week, we played around with writing our own descriptions of the Phantom’s lair. Drawing upon the noticings and author’s craft lessons from previous units, we each worked to develop a description of the lair that created a strong mood. Students had full creative license here: their description could reflect any characterization of the Phantom they wanted to work with. Was the Phantom evil, lonely, dangerous, pathetic, mysterious, depressed, romantic, bitter…? The choice was up to the writer. Enjoy the work of the following writers. What do YOU notice about the choices each made? For some of our thinking about theme and Phantom of the Opera, check out our responses to a question about compassion. One of the assignments every West Ridge student completes in seventh grade is writing an original poem. This composition is a process piece: after spending time reading and discussing mentor text poems, students spend time independently exploring our school library’s large collection of poetry. After experimenting with possibilities in their writer’s notebooks, students then draft, conference, revise, edit, and publish their own poems. Below are just a handful of the 130 poems written this December. Each is accompanied by an author’s note that provides insight into the writer’s inspiration for the poem and experience in writing it. “The Team” by Benjamin T.
Scroll through Dickens’ handwritten manuscript page by page by clicking HERE. Turn the pages by using the buttons in the upper left corner. Zoom in to more clearly see Dickens’ revisions by using the controls at the bottom of each page. Notice that even the most talented writers (especially the most talented?) revise their work! For more background information on Dickens and A Christmas Carol, check out this website. New School Year, New Bloggers! 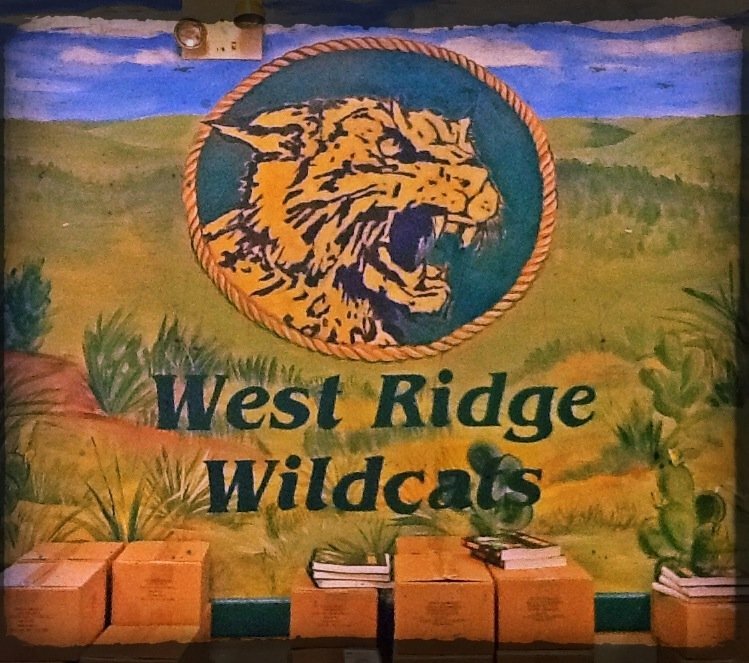 Our 2017-2018 West Ridge Wildcats have been blogging for a few weeks now, and we’re off to a great start! The topics we choose to write about each week can vary widely, but there’s always a common skill we’re focusing on. Recently, that skill has been paragraphing. No one wants to read a long block of text (especially when reading online). We invite you to leave us some comments. We’d love to hear from you! For more of our work, see all 140 names on the sidebar to the left! What do Charlotte’s Web, Harry Potter and the Sorceror’s Stone, and Harriet the Spy have in common? All three have been banned at one time or another. School districts received complaints that Charlotte’s Web had talking animals (a sure sign of witchcraft! ), that Harry Potter promoted dark arts, and that Harriet talked back to adults and was therefore a poor example for young people. Other banned children’s books include The Giving Tree and The Lorax (both considered a threat to the foresting industry), Bridge to Terabithia and Alice in Wonderland (both involving overly elaborate fantasy worlds) and Anne Frank: Diary of a Young Girl (too depressing). School boards were successful in removing these titles from some libraries; however, many of those decisions to ban the books were successfully challenged and overturned. Curious about more titles? Check out this list of banned classics. How many are you familiar with? Several of these are studied today in Eanes ISD schools. This year, we’ll read the sometimes-controversial book The Giver. 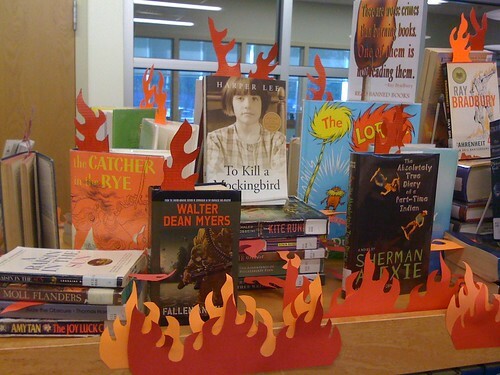 For more about Banned Books week, visit our West Ridge Middle School library display. Noelle explains why New York is a great place to visit. Kristi explains why Netflix is addicting. Ava explains why Texas winters are awful. Flynn explains why he’s betting on UCLA to make it to the Final Four. Alice explains why she’s looking forward to Spring Break. Andrew explains why he finds a certain computer program frustrating. Maddy explains why backpacks should be allowed in the classroom. Over the next few weeks, we’ll be working on expository writing: writing that explains. Textbook chapters, magazine articles, and instruction booklets are some of the many kinds of expository writing. As a seventh grader, you’ll focus on expository writing that explains your opinion about a topic or your thoughts about an idea. Lauren explains why summertime is the best time of the year. Steven explains how NOT to play video games. Kevin explains his hatred of pep rallies. Rachel explains why the Hill Country Galleria is a great place to hang out. Joseph explains his love of football. Tori explains why sidewalk chalk was one of her prized possessions as a kid. What do these posts have in common? Can you identify some of the strengths of effective expository writing? Recently, we’ve received visitors from Mrs. Flannery’s class in Australia. How cool is that?! We’re excited to be sharing our ideas with students in another part of the world. Mrs. Flannery’s class, how did we do? What more can you tell us about where you live? In recent weeks, we’ve been reading some mythology, including Robert Nye’s Beowulf: A New Telling. Our discussion of the book led to discussion of stories in general and the common elements we find in so many of them. Beyond the basics of plot and setting, character and conflict, climax and resolution, we often discover the hero’s journey, a narrative pattern found both in mythology and our modern stories and made famous through the work of scholar Joseph Campbell. We had some fun thinking about our own lives in terms of the pattern: a call to adventure in an unknown world, challenges faced the help of mentors and opposition from enemies, an abyss of darkness to be passed through before we could emerge with greater understanding of ourselves and our abilities, and the rewards gained from our experience. Nina takes us along on her swim meet adventure! One of the reasons we are blogging is to make connections with other student writers. Take some time to visit these classrooms from other parts of the world. Introduce yourself as a student from Texas (remember, no last names!) and ask a question or share a thought in response to what the student you are visiting has to say. Be sure to leave the link to your blog so that you can receive a visit in return! “The Ups and Downs of the Cowboys” by Ben N.
“Home Run” by Ava L.
“My First Soccer Game of the Season” by Preston Z. “Here Comes the Bride” by Sophie M.
In the coming weeks, we’ll be looking at other blogs to notice more about digital writing: What draws us in as readers? What keeps us reading? 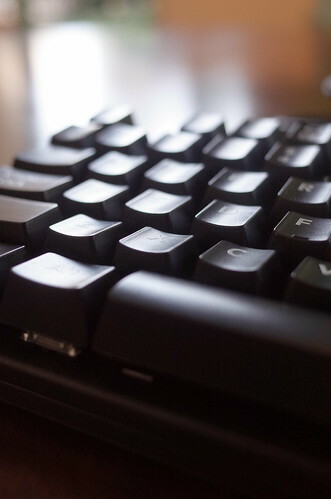 How is digital writing different from other kinds of writing? Watch our posts for improvement! We’re excited about the possibilities. As we prepare to set up our blogs for the 2016-17 school year, we need to have a sense of what it is that we are creating. What is a blog? 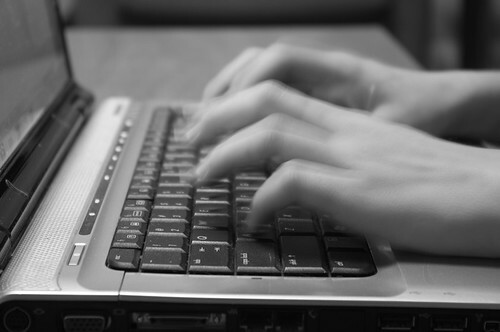 What makes some blogs more inviting and effective than others? One way to learn more about blogging is to visit some blogs. As you explore the sites below, think about what you like (or don’t like) about the design and layout of the blogs. How important is ease of navigation? Which posts draw your interest more than others? What’s the difference between a page and a post? Paper Fury is a blog by Cait, a young Australian writer who likes to review books. Mrs. Smith’s class in Canada blogs about what they are learning. Our Westlake High School librarians keep a blog. This teen homeschooler blogs about life on her family’s farm. Anthony Wyatt is a chef who publishes a food blog. Amanda Eccleston blogs about her career as an elite mid-distance runner. Sky is a student who blogs to share his passion for cars. Mrs. Kriese publishes a blog about her interests, experiences, and random thoughts. The first day of school is here, and we’re ready to start learning! What is voice in writing? Read the following posts and think about what these writers are doing to capture your attention and connect with you as a reader. What are some of the ways a writer can show personality through words? This week we begin our study of Phantom of the Opera, one of Broadway’s most famous musicals. Some of you are already familiar with the play and are fans of the music. Most of you have heard of the story, but you don’t yet know the details. You’re in for a treat! Every year, students say this is a fun unit, and that’s true. We do have fun! But we also learn a lot. Our study of the plot gives us a better understanding of the terms rising action, internal and external conflict, character motivation, climax, resolution, and theme. We’ll discuss the influence of setting on mood and plot, and we’ll explore the nuances of diction and tone. We’ll debate some difficult questions, and if past years are any indication, a few of us will even be moved to tears. What musicals have entertained and inspired you? Are there some Broadway songs that you and your family know by heart and can sing without prompting? Share your favorites in the comments! What will we do with it? How will we grow? The answers to those questions as they pertain to English class are partly determined by the Texas TEKS, but also by teacher and student choice. We as individuals can decide a lot about how we want to stretch ourselves and develop our abilities as writers and readers. What do we want to know more about? Let’s explore! We each have the tools: curiosity, ability, resources…and time. That’s the key, isn’t it? We have to make the time to learn what we want to learn, to do what we want to do. Explore the world with National Geographic. Find knowledge and inspiration with these teen TED talks. Learn history with John Green and his Crash Course History series of videos. Subscribe to BrainPop and enjoy fun, educational videos about thousands of topics. Read about current events and other topics of interest in the Smithsonian magazine for teens. Get inspired by these teen bloggers as they pursue their passions! Watch these video entries in the 2015 Breakthrough Junior Challenge, a contest in which teens age 13-18 explain a science or math concept. What are some of your favorite resources for learning? Leave us a link in the comments! Last Post of 2015 due Friday…What to Write About? The approach of a new year can be a great opportunity for reflection. Who are we, and who are we becoming? What have we accomplished, and what do we want to make of our lives going forward? What do we value about ourselves and our lives? The suggested topics above encourage such reflection. As 2015 comes to a close and we prepare for 2016, think about these questions. Consider choosing one and writing about it for your final post of the year. We look forward to learning more about what makes YOU you! After we finished our reading of Fish for the Global Read Aloud, students were asked to share their thoughts about read aloud in general. Was it something they valued and would want to continue? In our district, students used to have 84 minutes of Language Arts each day, and with that amount of time, it was easy to incorporate read aloud into the curriculum. Now that Language Arts classes are 52 minutes long (30 fewer minutes each day, or 2 1/2 fewer hours each week), it is difficult to incorporate and sustain a meaningful read aloud time. “I enjoy read aloud because it give the characters a voice.” — Zach D.
Students definitely want to continue read aloud, and so do I. Research backs us up: among this study’s 13 reasons to use read aloud with older students is the fact that the practice improves student reading and writing, and reading and writing is what we are all about in English class! For three days last week, our seventh period class held a bake sale to raise money for Heifer International. The students were inspired to help by our reading of the book Fish by L. S. Matthews, and they put that inspiration to work! Our goal was to raise $120 to buy a goat for a family in need, and we are happy to announce that we raised far more than that! The grand total after three days of selling doughnuts, cupcakes, and cookies was $339.35. Wow! Students browsed the Heifer International catalog of livestock gifts and voted on how to spend the remaining money after the pledged $120 goat was purchased. Our results? In addition to the goat, we gave a llama, a hive of honeybees, and two flocks of chicks. How cool is that? Our project was a success thanks to the many West Ridge students and parents who baked items for us to sell, who worked the sale table each morning, and who purchased the treats so that we could make a generous donation. Congrats to all involved! We would like to inform you that our class has had an idea. We’ve been reading the book Fish, and we’ve learned more about what it is like to be a refugee. The main character Tiger helps refugees, and eventually he becomes one when all the helpers have to flee the village. This book made us think about all the people who have been suffering in the world. We feel compassion for them, and we are passionate about helping. 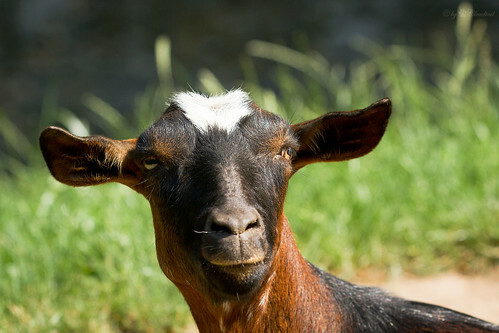 Our plan is to have a bake sale to raise $120 (or more) to buy a goat for a family through Heifer International. You can read about that organization and watch a video about them in this blog post. We’ve learned how owning a goat can help a family that is struggling with hunger and poverty. We would like your support in helping us make cookies, cupcakes, and other baked goods for the sale. Mr. Ramsey has approved our bake sale for November 17, 18, and 19. Next week, we will make a schedule of who is going to bring what items and who will sit at the table to sell the things. Thank you for your support. We appreciate all the trouble you go through to help our cause! We’re excited to see how much money we can raise to help people! Maybe we’ll be able to give the gift of more than one goat, or have money left over to donate to the United Nations Refugee Agency. We’ve seen pictures of children sleeping in the cold. A gift of $150 would buy sleeping bags for three families. For the past few weeks, our seventh period class has been participating in the Global Read Aloud. Along with hundreds of other classes from all around the world, we are enjoying the book Fish by L.S. Matthews. We’ve been moved by the experiences of Tiger. The child and his (her? Matthews never reveals whether Tiger is a boy or girl) family are aide workers in a country that has been torn by war. When the fighting gets close to the village the family has been working in, they become refugees along with the villagers. As we discuss character, plot, conflict, and author’s craft, we also discuss the real world situation that this book parallels. Although the current Syrian refugee crisis wasn’t happening the year that Fish was published, the story is much the same as those being told in today’s headlines. These stories of refugee suffering have touched our hearts and prompted us to consider what it is like to be a refugee or a member of a family that is battling hunger and extreme poverty. We’ve been talking about how we could help people in need, just like the family in Fish did. One concrete project we talked about in class involves helping families like those that Tiger’s family was helping before they had to flee. Through the tweets of other teachers whose classes are reading Fish, we’ve found Heifer International. This organization provides a goat, a cow, chickens and other livestock to very poor, hungry families so that those families then have the means to feed themselves and, with guidance, turn their animal into a source of income. We found out that the cost of providing a family with a goat is $120. We’re exploring fundraising options now, and we will post again when we have our plan in place! We’re very excited to start a project that will help people who are struggling with hunger and poverty. Artist Paul Cummings had a vision: one poppy for every British soldier who died in World War I, each planted at the Tower of London as a tribute to the sacrifice of those men. The resulting imagery is powerful indeed. What do you think and feel as you view the result of this artist’s work? Take out your Writer’s Notebook and turn to the next blank page. Can you capture the sight with imagery of your own? We took out our iPads and started exploring Comox Valley, Vancouver Island, Canada. What a beautiful, interesting place! British Columbia is one of the world’s top three producers of blueberries and cranberries. The provincial flower is the dogwood. Fishing is essential to the economy. Vancouver is home to one of the longest suspension bridges in world. Forty per cent of Vancouver residents are foreign-born (in our home of Austin, that number is twenty per cent). Vancouver Island the largest Pacific island east of New Zealand. Some of the best caving areas in the world are in Vancouver Island. The island was first colonized in 1861. Average winter temperatures hover in the 40s; average summer temperatures are in the 70s. We’re jealous! We decided that the British Columbia flag is one of the most awesome flags we’ve ever seen! We also watched this video tour of Comox Valley, home to Mrs. Smith’s seventh grade class. Looks like a great place to live! After watching this video, we have to say that the scenery is beautiful! Wow! In the past few weeks, we’ve been excited to receive visits from students in Mrs. Smith’s class in British Columbia. We want to learn more about where they live, but first we asked ourselves what we already know about their home. Some of our ideas may not be as accurate as others, but in the coming days, we’ll investigate which of our statements are true and which not. The people there are British! It’s very cold there much of the year. The scenery is very green…lots of evergreen trees grow there. Hockey is the big sport (others said no, it’s rugby). British Columbia has recently hosted the World Cup. Many American television shows are filmed there. It’s the only other country with “American” football. The people there speak French (others said nope, British Columbia is the only Canadian province where French is NOT the language). The people there like maple syrup! The flag is red and white striped with a maple leaf. The time zone is Pacific, same as California. Mrs. Smith’s class, how did we do? We’ll post again after we learn more! One of the fun things about blogging is that we can exchange ideas with other students in other parts of the world. For a couple of years now, Mr. Webb of New Zealand has had his students visit us in Texas, and we here in Austin have enjoyed our visits to their town in South Taranaki. @Kriese7thELA I think you might be surprised – I think its the afternoon of the day before when you were online – we were in class watching! Sure enough, we did some investigating and found out that New Zealand is so far ahead of us in time (is there a better way to say that?) that when we are in 7th period class, it is already the next day there! As we blogged at 3:00 P.M. on Monday, Oct. 19, it was about 9:00 A.M. on Tuesday, Oct. 20 in Mr. Webb’s class. Wow! I think we need to have a Skype session soon to get our students talking “face to face”! Meanwhile, we’ll explore the Taranaki region of New Zealand by browsing this website. Well, we’ve done some research, and we’ve discovered some interesting facts! The Serbian currency is based on a unit called the dinar. Like us, Serbs drive on the right side of the road. Serbia is led by a prime minister. Serbia gets snow in the winter, and there are many popular ski resorts there. When it’s 4:00 PM here, it’s 11:00 PM there–seven hours ahead of Texas. The total population of the country is smaller than that of New York City. This was a surprise! Serbia is the largest exporter of raspberries–how cool is that?! “Vampire” is a Serbian word that is spoken all over the world. We also watched this travel video about Serbia. It’s such a beautiful place! We’ll do some exploring and be back tomorrow with a post about what we learn about this country and our new friends there! How cool is it to have visitors from other parts of the world? This week, several students will see comments have been left on their blogs from students in Mrs. Milacic’s class in Kragujevac, Serbia. We’ll spend some class time this week learning more about that country. What do we want to know about Serbia? Would you like to read and comment on the blogs of Marija, Andrea, Vlada, Milica, Tamara, Janko, Tamara, Stasa, Tijana, Jana, Bogdan, Luka, Dimitrije, and Djole? You’ll find those links on the sidebar of their class blog…but first you’ll want to use the Google translate widget on the class blog’s home page to translate their work into English! Check out the students’ “About Me” pages and find someone who has interests similar to yours! Enjoy these stories from Periods 4 and 6…but beware, some will have you shivering with fright! “2072, Chapter 2” by Emma T.
Wow. As we’ve been sharing our writing via our notebooks, group work, and blogs, it’s become apparent that we have many students who are passionate about writing! There are some young authors among us, and it’s wonderful to see. Scholastic has a program that showcases the work of young writers and recognizes their talent. Check out the Scholastic Art and Writing Awards: a competition designed to honor the creativity of “young artists and writers, filmmakers and photographers, poets and sculptors, video game artists and science fiction writers.” There are 26 categories in the contest. Are you interested in participating this year? The contest specifics that pertain to our part of the country are found here for writing and here for art. Choose a category, read the guidelines, download the forms, and start polishing your work, because the deadline for submission will be here very soon: December 16, 2015. Category winners receive scholarship awards and the opportunity to have their work exhibited and published! One such winner is former West Ridge Middle School student Arthi Kozhumam. Arthi has won Gold Key, Silver Key, and Honorable Mention awards for her poetry. Congratulations, Arthi! We’re proud of you! Pixabay is a great resource for bloggers. The site offers thousands upon thousands of images that are in the public domain, which means they are free for use (even commercial use) without attribution. Need a photo to represent a post about your sport, hobby, or talent? Wanting the perfect picture for your writing about favorite food, books, or games? How about images to help create a mood or set a scene? Although Pixabay’s FAQ (Frequently Asked Questions) page specifies that attribution is not required, it is always a good idea to indicate your source below the photo or at the bottom of your post. You wouldn’t want to give the impression that you were the photographer or that you used someone else’s photo without permission. Pixabay is a great addition to our other resources for images: MorgueFile and the Compfight Photo Plug-In — and your own photography! We’ve been in the computer lab for the past few days, getting everyone set up with his or her own blog. This week, we’ve been learning blog vocabulary and other basics as we explore options for style and content. Next week, we’ll have lessons on adding media, respecting copyright, and linking to supplementary articles. Our blogs are taking shape! By October 1st, we’ll be ready to email family and friends, inviting them to subscribe to our blogs. We look forward to exchanging our ideas with others as we share our writing. During our discussion of Beowulf: A New Telling, we also talked about characters from Star Wars, The Lord of the Rings, and Harry Potter. In those stories, Luke, Frodo, and Harry each receives a call to adventure: a summons to leave the world he has known and to embark on a journey. Here in Dan Priest’s video are more scenes from more stories that develop around a character called to adventure. Can you think of your own list of examples from fiction? How about from reality? Can you think of people called to their life’s accomplishment by circumstance or inner voice? In what way have YOU been called to adventure? Give an example in the comments. Why Do We Have to Write Today? Why do you write? Leave us a comment and share your thoughts. When we compared the size of Texas with the size of New Zealand, we were just as amazed as Mr. Webb’s kids. We know Texas is big, but wow, Texas is BIG! Some students insisted that our above “facts” are wrong, with some saying kangaroos are in Australia, not New Zealand. We’ll have to do some investigating in the coming days! Jenna celebrates her dog’s first birthday. Do you love musicals? Madeleine shares her favorite Broadway hits. Meghana finds Draco Malfoy to be a sympathetic character. Surya explains why studying a second language is a good idea. Lorena enhances her writing with photos, color, and special effects. Cool! What’s your favorite season? William explains why his is winter. Ananya writes a poem to capture the beauty of a new day. Blake has some information and questions for you about 4-D printing. Erik enjoyed an opportunity to meet a favorite author. The misery of flu season is expressed in this post by Layna. Madeline takes you into the Phantom’s lair…and into his mind. You’ll appreciate these amusing tips from Varun on how to avoid telemarketers! Milan describes his dread of state testing. Pranu shares her thoughts about an unsettling documentary she recently watched. Shreyaa describes the complexities and joys of one of her hobbies: Bharathanatyam dance. You’ll want to visit Hawaii after reading what Tiffany has to say about it! Student choice is an important factor in writing instruction. Students who have something to say will work to say it well, and maybe even have some fun in the process! Need an idea for your next expository writing assignment? Let’s think about this together. We know that expository writing can explain: it can explain why you think something or how something is done. Explain why _______ is a great place to visit. Explain why your family will never again vacation at ______. 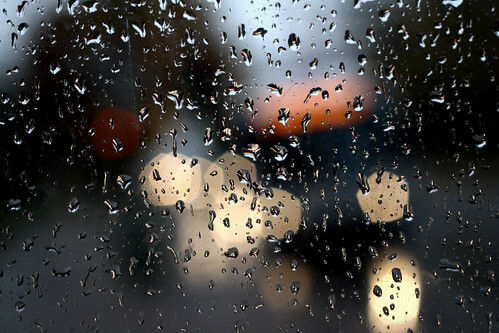 Explain how to make the best of a rainy day stuck in _______. Explain why air travel is _______. Explain how to survive a long flight (or a long airport delay). Explain why family road trips are _______. Explain how to irritate your siblings on a family road trip. Explain why Disney World never gets old, no matter how many times you’ve been before. Explain why _______ is the best ride at _______. Think about your school life. Explain why _______ is your favorite subject. Explain how to make ________ grades in class. Explain why school dances are _______. Explain how the school day could be better organized. Explain why the school’s technology policy is ________. Explain why grades are ________. Explain your ideas for improving the appearance of your campus. Explain why homework is _________. Think about your social and extracurricular life. Explain why being the new kid (or a cheerleader, or a “nerd”) is ________. Explain how to crash a friendship in three easy steps. Explain why participation in sports is ________. Explain what participation in ___________ has taught you. Explain how __(insert social media)__ can ________relationships. Explain how your parents’ rules for you should change. Explain how you are different now than you were in sixth grade. Explain why students need more down time during the week. Think about your hobbies and passions. Explain why ________ is a favorite activity. Explain how to play a better game of ________. Explain why you love ________. 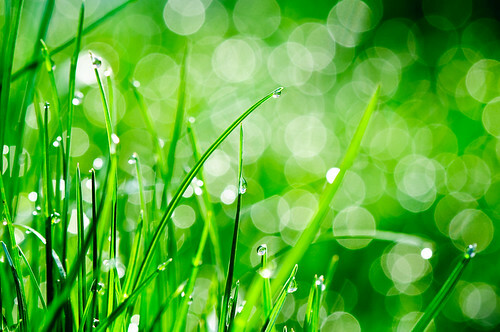 Explain how your love of _________ enriches your life. Explain why the haters are wrong about your passion/fandom/celebrity crush. Explain what your most important possession is and why. Think about the people in your life (those whom you know or have read about). Explain why you admire _________. Explain why ___________ is an example for others to follow. Explain how ___________ achieved success or overcame adversity. Explain how ___________ has taught you ___________. Explain why you are grateful to __________. Think about what you have learned recently. If you like history, explain how a key event happened or why it is significant. If you like science, explain why an experiment was successful or how a process happens. Explain how discoveries in __________ will change the future. If you like health and PE, explain how __________ affects the body or why people should stop/start ______________. If you like math, explain how you solve a type of problem. If you like English, explain how a certain character ________ or why a certain character ________. Explain why you ________ reading or why a favorite book has been important to you. If you like your independent studies, explain how ________ is done or why _________ is something you want to learn more about. Think about the wider world around you and life’s bigger questions. Explain why it is important to help others. Explain how one person can make a difference in the world. Explain why it is important to speak up for what is right. Explain how technology is making life more _______. ***a conclusion to echo the controlling idea and leave your reader with something more to think about. Hover your mouse over our poet-tree for links to our poetry! What’s your first read of 2015? Share the title in the comments! As we prepare to complete our blog self-assessments next week and set goals for the spring, let’s take a look at what some other student writers have done with their own blogging. Do you have a particular passion that could become the focus of your blogging this semester? Jake is a thirteen-year-old Scottish student who has been collecting and studying bones since he was six. His blog has been featured on television and radio, and his work has become a book by the same name. Cayla and Ashley are two sisters, age fifteen and thirteen, who have used their blog to showcase their singing and song-writing talent. They now have a YouTube channel, and they have released two CD’s via iTunes. Sky is a fifth grader who has been blogging about cars for two years. His visits to car dealerships and his interviews with car experts have given his blog a wide readership. British student Maelo Manning started blogging about politics when she was only ten years old. Since then, her blog has won many awards for political commentary, and she has been a guest on several political talk shows in England. Tolemia is a fourteen-year-old who has been blogging about fashion since she was eleven. Her blog has been featured in many publications, television segments, and radio spots. Hannah Alper is an eleven-year-old blogger who describes herself as a “Change Maker, Activist, Eco Warrior, Animal Lover.” Her blogging has led Hannah to roles as a TEDx speaker and a student ambassador for Free the Children. Check out the work of these “kid reporters” from SIKids and Time for Kids. Student bloggers also share their work at TeenInk (must be at least 13) and their book and movie reviews at DogoBooks and DogoMovies. What do you want to do with your blog in 2015? Avery writes about her love of Christmas. The possibilities of time travel are explored by David S.
Eli shares his thoughts about schoolwork and his study habits. Jonny writes about the fun of fishing. Jack wrote a poem about hockey. Thomas writes about a day spent at home, too sick for school. Once again, West Ridge has earned the “No Place for Hate” designation from the Anti-Defamation League of Austin. We’re proud of the work that goes in to making our campus more aware of issues affecting our school climate. Our administrators, counselors, and teachers work with the students to hopefully create a safe place in which every student feels they belong. No place is perfect, of course. Perhaps you feel that West Ridge could do better…or that you yourself could do better when it comes to treating everyone with respect. We’ve all atttended the assemblies and had the classroom lessons: we know what we are supposed to do when we hear or see another being made fun of, excluded, or threatened. It’s up to us to do what’s right and kind. When we see this banner hanging in its place next to the previous years’ banners, let’s all think about what we are doing (or not doing?) to make WRMS no place for hate. Wonderful work this week from our bloggers! It’s great to see the effort students are putting in to improving their composition skills while at the same time sharing their thinking with their readers. Enjoy these posts from second period, and we hope you will join in the discussions by leaving your comments! Jason shares a podcast on the topic of bliss and one man’s search for his own. Emily and Annakate are looking forward to Halloween. Jillian and Ananya have recommendations for our reading and movie watching. Sadie writes about her fun experience at IFly, while Meg writes about a not-so-fun experience at camp. Ethan expresses gratitude for his piano teacher. Grace and Veronica write about favorite places. Caroline teaches us more about the recent solar eclipse, and David informs us about upcoming game releases. We’ll be back after the 31st with more posts! Happy Halloween! Celebration West Ridge is our school’s annual festival and fundraiser. In the collage above, you see just some of what CWR offers. What you can’t hear is the awesome music, and what you can’t taste is the delicious food! Pizza, snow cones, candy–and more candy!–are part of the fun, as are photo booths, karaoke, and cake walks. More adventurous students can enter games and competitions up on the field. CWR is a day of laughter and prizes, treats and eats, dancing and playing. An extra bonus? This year the weather was perfect, with not a rain cloud in sight! Finally, An Invisibility “Cloak” That Can Be Available To All! This invention is like something straight out of Star Trek, isn’t it? I know the article makes mention of Harry Potter’s invisibility cloak, but before there were the deathly hallows, there was first a cloaking device. I’ve known about the concept since I first watched The Enterprise Incident in the early 1970’s. Kirk’s ingenious plan to steal the secret cloaking device from the Romulans makes for one of my favorite Star Trek episodes ever. Just think of the military implications of an invention that could hide the presence of a ship! The Federation certainly couldn’t leave such technology in the hands of their enemies. There are other examples of Star Trek technology becoming real-life inventions. Spock, Dr. McCoy and Mr. Scott would be proud of us 21st century humans. Gene Roddenberry and his team knew what they were doing! Interested in more articles like this? Dogo News is all about current events for kids. Just click the tab that interests you the most: science, social studies, sports, entertainment, international, green, fun…there’s something there for every reader. Find an article that interests you, click to get the embed code, and put it in a blog post. Then share your thoughts by adding a paragraph or two of your writing beneath the embedded article. Notice that in addition to Dogo News, you can also find Dogo Books and Dogo Movies…all reviewed by kids for kids! If you create an account with your school email (ask your parents first), you can post your own book and movie reviews on the Dogo website. #14stubc: Hello from Austin, Texas! Or should we say “Howdy, y’all!” instead? Challenge bloggers from #14stubc (the fourteenth Edublogs student challenge) and other visitors, we are glad you have stopped by for a visit. Most of us are new to blogging, but we are excited to get started on our posts and to reach out to new friends across the world. That’s the Colorado River flowing through our town. Did you notice the bats that fly out from under the Congress Avenue bridge? We’ve been known to have bats in our school from time to time! In the comments we’ll share more about why we love our city. You can see our Austin posts from earlier challenges here and here. Note: We realize there is a misspelling in the video title. We wish that it was our mistake to fix, but alas, it isn’t, and we can’t! I smiled as I responded to this tweet from Maine high school teachers Dan Ryder and Jeff Bailey, and I attached a collage of images from our classroom walls: several movie and television show posters, all of them representing popular shows with large fandoms. You’ll find Lord of the Rings, Star Wars, Harry Potter, Star Trek, Doctor Who and a few more. Why not more posters about steps in the writing process? about grammar, capitalization, and punctuation? about vocabulary and reading? Because together we will be creating wall charts to show our learning of the “school” stuff. Because those charts will make more sense if we develop them in class, as we are practicing the work of reading and writing. Because just like the ELA charts, the movie and television posters help us make connections around our reading and writing! Can we achieve the impossible? Who sees the best in you? What stands in the way of your dreams? Who deserves a second chance? What has the power to heal? Where do people find hope? Why do we need memorials? What is our duty to others? How can we change what’s wrong? Stories explore all of these questions, and some of our most powerful stories have been told or retold via television and film. Frodo lives up to the faith that Gandalf has in him and finds the courage to battle great evil. Luke discovers his true identity but decides for himself who he will really be. Harry realizes the terrible truth of his life but finds the strength to overcome it. The Doctor is burdened with deep sorrow but spends his life helping others. Belle believes the Beast deserves a second chance, and Simba uses his to change what is wrong. The Phantom finds that love has the power to heal–and the power to free. The posters aren’t up because they represent stories we will study (we won’t even be watching the movies). They are up to make us think, to help us make connections between the stories we are studying and the stories we each are living. How do the “big questions” above connect to books, movies, and shows you love? How do the questions relate to you and your life? Whether electronic or paper, we love our books! Many thanks to librarian Mrs. Martinez and library assistant Mrs. Blackmon for helping us find some great reads today. 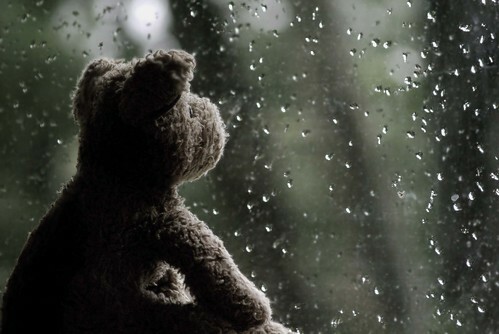 What do you think of when you hear the word rain? It probably depends on the circumstances and your mood. 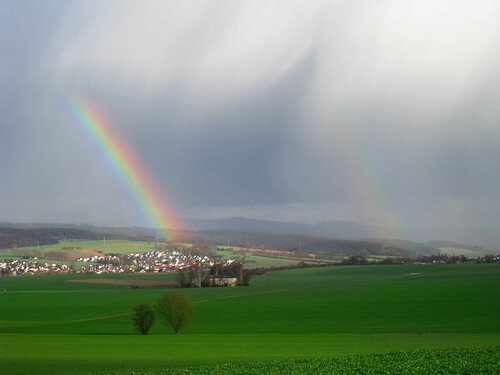 We all know that rain can be an uplifting thing or a disappointing thing, a weather event that ruins your plans or a welcome gift to relieve drought. Look at the following photos. All five depict rain, but they each have a different “feel” to them. In your Writer’s Notebook, do a quick write in response to the pictures. 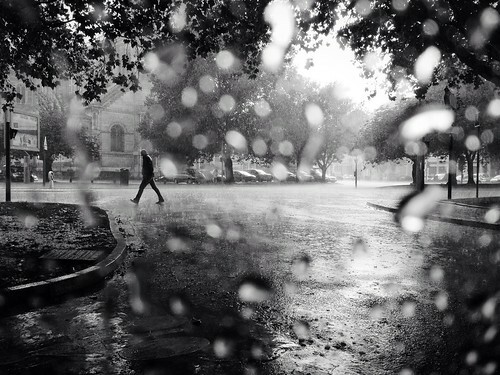 Spend two minutes writing about each photo and its depiction of rain. Do you find a difference in tone (your attitude toward the topic) and mood (the feeling your words create) depending on which photo you are responding to? Think about the power of images as we continue with today’s lesson on using images in posts. What fun to hear our students’ vivid voices come through in their writing. Our blogs are looking good and sounding great! What are we reading? We’ve copied the titles of our current or recent book selections into this Wordle. Can you tell which novels are currently the most popular among us? Isn’t it interesting to see what words were most often used in our plot summaries of these popular YA novels? Click the “full screen” icon to view poems. We invite you to read some of the poems we crafted after a study of imagery in mentor texts “The Shark” by Edwin Pratt, “Abandoned Farmhouse” by Ted Kooser, “Poppies” by Roy Scheele and “When It Is Snowing” by Siv Cedering. Students were invited to pattern their poems after the work of the published poets. As students worked on their poems, they were asked “What do you want your reader to feel?” The answer informed the use of imagery, and all that goes into that: details, word choice, graphic elements, and more. These are some of the efforts of the second week of school. We look forward to sharing more as we learn more in the months ahead! As we approach the end of the first week of school, my students and I have much to be proud of. We’ve done good work together: writing our thoughts, writing our hearts, writing our selves. We’ve shared our ideas with each other, even though it might have felt a little intimidating at first. We’ve taken those first important steps toward building a community, practicing the work of respectful talking and listening. We’re realizing just how powerful a tool the writer’s notebook can be. Next week, we introduce more powerful tools into our community of readers and writers. With the iPad will come the collaboration features of Google Drive and the discussion opportunities of Edmodo. The week after that will bring the introduction of blogging, and then wow! Watch us go! One week from today, you’ll be here! We teachers are getting ready for you, unpacking boxes, hooking up computers, and setting up our classrooms. In the picture above are cartons of new science and math textbooks. Bet you can hardly wait! When Peter Parker walks in late to his English class, he interrupts a lesson on plot in fiction. His teacher is explaining that a mentor of hers used to say that there are ten basic plots in all of fiction, but that she disagrees…she thinks there is only one: the question of who am I? Certainly the exploration of that question is key to many stories. It is key to the story of Spider Man as Peter Parker must figure out the origin of his identity and who he wants to be going forward. The question of identity is one we each must answer as we grow up, and it makes sense that if literature is the exploration of human experience that its stories strive to answer that question, too. Who are we, as individuals and as part of larger communities? Can you think of more stories you have read or watched that explore the question of identity? Share your answer in the comments. Descriptive-narrative sketches, personal narrative essays, narrative poems–we’ve been talking a lot about narrative writing lately. Most of us are reading books that tell stories. We’re enjoying the unfolding of a plot and the development of characters. We’re sticking with our novels because we want to find out what’s going to happen, and because we’re entertained while we wait: the author’s style is just right for us. Whatever genre we are reading, we all have something to share about our books. We are thinking, wondering, noticing, feeling as we read, and many of us would like a place in which to share our book thoughts. Students are likely familiar with Edmodo via science classes in earlier grade levels. I’m excited to use this tool again in English class. Let’s get the conversations started! Image credit: Elements of Literature. Digital image. The-teachers-lounge.com. McDonald Publishing, n.d. Web. 17 Apr. 2014. At the beginning of class last Tuesday, students were asked to summarize what was currently happening in the books that they were reading. They typed their answers into a Google form, with reminders to incorporate the sentence variety and conventions we’ve been working on in class. I’m especially happy to see the use of appositives in the responses! Most importantly, I’m happy with the level of engagement I’m seeing with most students and their books. Spending time in the library and in silent reading has given me insight into students’ reading lives. I’m learning who is familiar with which authors, who reads reluctantly and who reads willingly, and who throws up big roadblocks to reading…and perhaps why. Several students and I are now working on finding books that will get them interested again after many, many months of not reading any book at all (true confessions have been one of the benefits of this return to library visits and reading time). What are you reading now? What’s happening in your book? For the Edublogs Student Challenge Week Three, we adapted the sixth activity to write about our favorite apps. You’ll find some great ideas here for your iPhone or iPad, whether you are looking for entertainment, productivity, or education. In this Edublogs student challenge for Week 3, one of the activities was to tell a visitor to our area about a must-see place or attraction. Enjoy the following compositions from students in Periods 4, 6, and 7 about the highlights of Austin, Texas! Gabriel recommends the Alamo Drafthouse for movie night. Izzy loves visiting South Austin’s SoCo for shopping and fun. Hannah describes the enjoyment of a day spent downtown. Izadora captures the fun of ACL Music Festival. Ryan B. explains his love of Lake Austin. George reminds us that no trip to the capital is complete without a trip to the capitol. Tarun chooses Torchy’s Tacos for food and sports. Dahlia enjoys dining at Tony C’s for the best in Italian food. Dylan reviews Tres Amigos, a Westlake favorite for Mexican food. Alena says Rudy’s serves the best barbecue, but Emma loves the Salt Lick. Saira has an alternative recommendation for those with vegan tastes. Olympia shares the best place for a game of laser tag after dinner! Visitors, where are you from? Leave us a recommendation about where we should eat, shop, or play if we ever tour your town! Students in Periods 2 and 3 have responded to the blog challenge of posting about a favorite place. The following writers not only have great ideas to share, but they do so in blog posts that are well-organized, with introductions, body paragraphs, and conclusions. Well done! Karsten insists he’s found the best burger joint in Austin, but Nina disagrees. Not in the mood for a hamburger? Nick recommends a great Italian place. Where do you like to shop in Austin? Bryce has a favorite sports store. Summers in Austin are hot! Where to go to beat the heat? 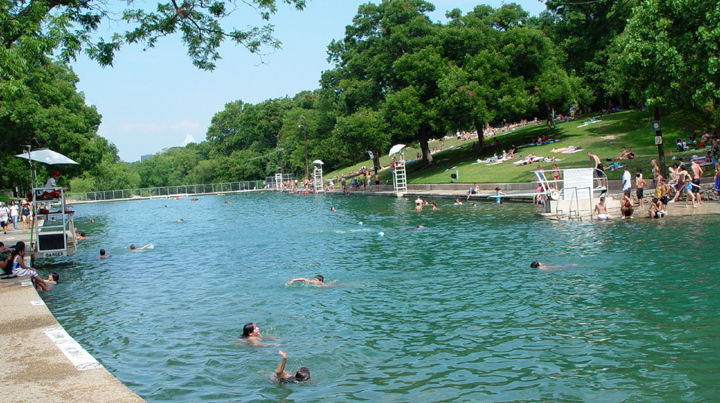 Clara recommends Barton Springs, famous for its natural beauty and cold, cold water. And then are the places we just love because they are our personal havens: Jered and Madiha write about their own backyards, Eric about time spent in virtual reality, Lauren about her favorite golf course. Barton Springs Pool. Digital image. City of Austin, n.d. Web. 23 Mar. 2014. And here is a list of what we agree are some of the things we love most about Austin. Click on the links to see more. What do we enjoy about living here? The Kite Festival at Zilker Park is an awesome annual event. Austin has what we kids call Graffiti Land! Great food is always nearby—P.Terry’s is one of our favorites. Austin City Limits Festival (ACL) is for music lovers—we get the best bands every year. Keep Austin Weird is a slogan endorsed by the Austin Independent Business Alliance, and you’ll see the shirts everywhere! 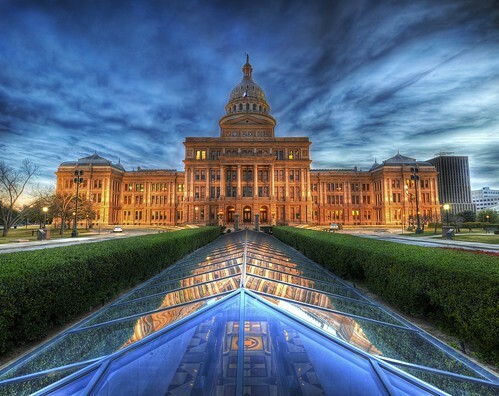 Austin is the home of Texas Longhorn sports! Lake Austin is great for all kinds of water recreation. Eanes ISD , Westlake High School and our own West Ridge Middle School make us proud to be where we are! Visitors, have you ever stayed in our city? What did you enjoy about your time here? If we were to come to your home town, what would be your top recommendation of things to do while we were there? We’re excited to have new blogging partners in Mr. Webb’s Room 1 in Auroa, New Zealand. After introducing ourselves, Room 1 wrote a post about what they knew about Texas, so we thought we’d put together a list of what we know about New Zealand. Like Mr. Webb’s class, we realize we have some research to do in order to complete (or correct?) our knowledge and impressions. The fly fishing for trout is supposed to be awesome there! We look forward to learning more about New Zealand and Mr. Webb’s class in the weeks ahead! Reading and Reading Logs: Time to Re-Think? The message of the above graphic is one we already know: reading is important, and reading every day fosters academic strength. Chances are that the more you read, the better student you will be…the better thinker you will be. At the seventh grade level, we ask that you strive to read 800-900 pages in a nine-week time period, that you log the titles of the books you read, and that you obtain a parent signature next to each title as corroboration of your reading. Reading that many pages means reading regularly, even though you may not keep to a 20-minutes-a-day schedule you had when you were younger. We all have more time to read some days than we do on others. We’ve made that small change, but I’m thinking there need to be more changes. I’d like to open a conversation about how we do reading at school, and I’m asking for your input. Parents, feel free to add your thoughts, too. Independent, Sustained Silent Reading is something we used to do daily in seventh grade when ELA classes were 84 minutes long. I’d like to find time for ISSR again at school. Some schools with only one period of ELA have their ISSR time one period each week or once every seven school days. Others use the first ten minutes of every period. What are your thoughts about how often and how long we should have independent reading in the classroom? 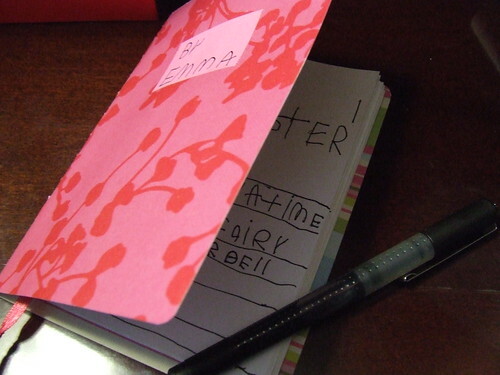 Reading Logs don’t have to be lists of titles with signatures. If we are reading at school again on a regular basis, there could be time for reading conferences with the teacher. With our iPads, we could record small group conversations about what’s happening in our books and turn in those conversations. What would be your preferred way of receiving credit for your reading? Regular library visits are important to supporting an ISSR program. Should we start going to the library every two weeks? Some students have said they have trouble finding a book to check out, so perhaps we should arrange for Mrs. Martinez to spotlight some titles for us each time we visit. How do you think we could make the most of regular trips to the school library? Parents and students, I look forward to hearing your answers to these questions (and any other thoughts you may have about reading) in the comments section of this post. It’s wonderful to really hear students’ voices come through their writing. We’ve talked about the progress they’ve made as writers, and the kids observed that they are writing with more expression and with better organization. They’d love to have your feedback on their compositions! Cierra had a great time at summer camp. Read about why she loved it so much. You’ll enjoy Ethan’s humorous explanation as to why kids should not have to do the dishes. Grant’s description of his favorite food will make you hungry! Nina is a poet. Read this poem, then visit her blog for more. Tired of the cold? Not Regina. She explains why she loves winter! Ryan’s narrative about his recent fishing trip puts you right on the water with him. Overdue library books? You can empathize with Valerie as you read about the pain of late fines. Our expository writing has been so enjoyable to read! Check out the following links (and others to be found in the student blog roll) for compositions that are alive with voice and filled with thought. Don’t be a corner-camper! Steven explains how NOT to play video games. Soham informs us of the disadvantages of using electronics. A student who DISLIKES snow days? That’s Matthew. He explains why. Ryan sees long car rides as great opportunities for fun. Izzy shows why Telluride is a great place to visit. “Bow ties are cool!” declare the Doctor and Gabriel. Amulya explains why she enjoys pep rallies. Ava explores the many meanings of the color red. Short expository essays, fiction, poems, and personal narratives have been posted by third period students. Enjoy this sampling of their work! “The fun is in the risk.” Eli explains why he loves riding his mini-bike. Irma calls shotgun! Read about why the front seat is the best seat. “The sun falls back underneath the earth.” Clara’s sunset will leave you in awe. “Too bad it’s not turkey season, I thought.” Clay narrates a hunting adventure. “The Merchants’ Village” is a chapter story written by Jane. Bryce explains the different ways in which people can wear masks. You’ll be counting the days until summertime after you read this post by Lauren. Our writing from the week of February 10 has been entertaining and informative. Enjoy this small sampling of student work, and visit the links in the blog roll at the left to read more of what our Wildcats have to say. Comments welcome! Dahlia shares her D’Var Torah. Emma paints with the color blue. Alena expresses her thoughts on the Olympic sport of curling. George explores the qualities of effective leadership. Grant shares the pressures of being a baseball pitcher. Lucca explains his love of lacrosse. Joseph shows why football is awesome. Emma Bernice evaluates her iPad ownership. Enjoy this video as a review of those elements. Some students have asked about how to add some special text effects to their blogs. Enjoy playing with the possibilities below! You can search the web for more options. If you find more cool bling for blogs, leave your recommendations in the comments! Get this text and many more glowing fonts here . After you create your message, choose “get web code” and paste it into your post. Remember to use the “text” option when pasting in codes. We have enjoyed getting to know our iEARN project partners this fall and exchanging our writing with them. Our poetry and expository compositions have now been published: we created Weebly websites for our poetry projects, Ms. Gorelova’s class created a blog for their friendship project, and Ms. Mitrofanova’s class created a newspaper for their teen life project. Click on the links below to read our work! Click HERE to open our Flipboard magazine of “Where I’m From” poems. To see each poem in color and in its entirety, click on its title. Poems were styled using Notegraphy. These poems were inspired by a reading of George Ella Lyon’s “Where I’m From” and by our own explorations and excavations of childhood, home, and family in our Writer’s Notebooks. Enjoy these ten. More student poetry will be posted over the next couple of days. To read this week’s collection of student blog posts, click on the Flipboard link below. Can you detect the theme that unifies these nine articles? Read Nina’s poem about Daylight Savings Time. Visit the beach with Madilyn. Experience a thunderstorm through Anisha’s vivid description. Savor a just-right cheeseburger with Kelly. Enjoy Valerie’s post in recognition of our nation’s veterans. Ava writes about a favorite place in her home. Have you ever heard of a smartwatch? Matthew can tell you all about it! Julius gives us insight into our reading of Robert Nye’s Beowulf: A New Telling. Ryan shares a story of a childhood treehouse and has a question for us to answer about our own experiences. Myles shows us what Science Day is like for the middle school students who present lessons to the elementary school kids. Today in class, we watched scenes from Star Wars, The Fellowship of the Ring, and Harry Potter and the Sorcerer’s Stone. In those clips, Luke, Frodo, and Harry each receives a call to adventure: a summons to leave the world he has known and to embark on a journey. We talked about Jonas from The Giver and his call to adventure. Here in Dan Priest’s video are more scenes from more stories that develop around a character called to adventure. Can you think of your own list of examples from fiction? How about from reality? People called to their life’s accomplishment by circumstance or inner voice? In what way have YOU been called to adventure? By now people were pouring out of the gates while the rain picked up into a downpour, turning dirt into mud, puddles into ponds and everyone else into an irritated, soggy mob. For the past couple of weeks, students have been writing about topics of their choosing, and the results have been wonderful to read. Some students incorporate imagery into short pieces of fiction or personal narrative. Others write expository pieces (though we haven’t introduced that term yet) about topics that interest them. One aspect of writing we’ll be focusing on more and more is the importance of paragraphing: how it helps the reader follow and understand a piece of writing, and how choices in paragraphing can enhance the mood the writer wants to achieve. Check out the introduction message and slide show that students in Mrs. Schoch’s and Mrs. Kriese’s Pre-AP classes made for their iEARN project partners in Russia, Romania, Belarus, Pakistan, Indonesia, Colorado, and Tennessee. The kids did a fantastic job! Grayson expresses the best part of fall season. Human rights is the topic of Sofi’s most recent post. Have an opinion about gaming platforms? Advice to share about computers? Brian’s blog is the blog for you! There’s also a great ongoing fiction story for your reading pleasure. Francesca writes about an interesting incident in Europe. What are you afraid of? Olympia shares her fear and asks us about ours. Soham has turned a Writer’s Notebook entry into a poem. A swim meet is described by Jane. Ethan, Izadora, and Andrea all shared their thoughts about The Giver. Great job, bloggers. Visitors, we all welcome your comments! Student blogs are listed in the blogroll in the sidebar on the right. We are excited to welcome our Pre-AP students to iEarn (the International Education and Resource Network ) in a collaborative writing project with eight other teachers and their students from around the country and the world! Over the next fifteen weeks, we will be learning more about each other and ourselves as we plan a writing project together and exchange our composition work with each other. Eventually, all ten of our classes will produce a literary magazine highlighting the best of our writing. The theme and format of that final product has yet to be determined by the students, but that’s part of the fun: deciding together what it is that we will accomplish. First things first, though. We’ve got to open the lines of communication and get to know more about each other. We teachers have made our first posts to the teachers’ forum, and over the next couple of weeks, students will be creating, taking, and then sharing a survey of who they are as a group of young WRMS Wildcats, Austinites, and Texans. We’ll gather items for “welcome packets” (eight of them!) that we can send to our fellow iEarn classes. As we await welcome packets in exchange, we’ll be proactive in learning more about the home states and countries of the schools we are collaborating with. Students, do some exploring of these places on your own between now and Monday. Perhaps you can use Google Earth to take a quick journey across the country or across the oceans to see where our soon-to-be new friends live! After a lesson on prepositional phrases, students used their lists of prepositions to write poems with the words. It was a fun activity to help learn prepositions and to practice crafting with prepositional phrases, adding details of when, where, how, what kind, and which one to their writing! Ryan writes about the excitement of a football game. Bryce captures the rivalry between Hill Country and West Ridge. The thrill of scoring a touchdown is described by Andrew, Ryan and John. Lucca and Matthew each tell about the beauty of music. Christina and Grace enjoy the wonders of a carnival. George transports us into a basketball arena, Kevin takes us camping beside a still lake underneath a starry sky, and Ethan has us see the world from the viewpoint of his kitten as it’s confined in its carrier. Beware the haunted houses described by Clara, Jenny and Emma! Enjoy the cake baked by Izadora and Carmen. Experience a delightful holiday scene with Alanna. Smile with Irma for picture day! Go fishing with Malone, work out with Kelly, dream with Saira and Shampurna. Can you name all six of the games that Isaac takes you through? Students, I’ve been so pleased to see the enthusiasm for reading that you have shown in these first weeks of school! Already you are bringing your public library books, paperbacks, Kindles, and Nooks to class. You’re browsing the classroom library and checking out titles from best-selling young adult authors. Extra minutes in class have been spent productively, with you choosing to read once your binders are organized and your letters are written. This is exciting! We are building a community of writers and readers in our seventh grade classroom. We can all foster this enthusiasm for reading and support the growth of our class library by ordering books from Scholastic. You can browse each month’s book flyer and order online here or from the link on my website (it’s under the “resources” tab). Our class ordering code is GNM2B. I’ve been thinking about what I want to read for my reading log this nine weeks. I’ve almost finished my audiobook How the Light Gets In, the recent Louise Penny mystery I mentioned in my letter to you, so I think I’ll get started on my required biography/autobiography. I’ve checked out a book about the Bronte children: Charlotte, Emily, Anne. I know a few of you are familiar with Jane Eyre or Wuthering Heights, and both are on my list of favorite books. I’ve listened to my Jane Eyre audiobook three or four times over the years, and I know I will listen to it again. I am really looking forward to learning more about the lives of Charlotte, Emily, and their lesser-known sister. All were writers, and all are interesting to me. What person have you chosen to learn more about in your reading this nine weeks? What makes you interested in the life of that person? Visitors, have you read an interesting biography or autobiography recently? Leave us a comment here. We are a class of seventh graders in central Texas. Most of us are blogging for the first time, and we are excited about all that we will learn through our participation in the Edublogs Class Blog Challenge. We look forward to learning about the other classes taking part! Visitors, where are you from? We’d love to hear from you! Now that we are done with our five days in the computer lab, it’s back to the classroom. Some students noticed that the desks, which had been arranged in groups the first week of school, had been placed in rows for Back-to-School Night to accommodate all the parents who rotating in and out of the small space for their eight-minute class periods. We quickly moved the desks back into groups for our purposes, but I have to say, there’s a real place in my heart for rows. I wrote a poem about school seating when I was monitoring Saturday School a few years ago. You can read it here, and then I’d love to hear what you have to say about the subject of desks and seating charts at school. What works for you, students? Adult visitors, what are your memories of your preferred seating options at school? Any particularly good or bad experiences associated with where you had to sit in a class? Comments welcome! I want to be able to move in it, use it, solid and sure. And I want it to be in a row. Not at the front, where I might be seen. Not at the back, where I might also be seen. An island for my personal thoughts and daydreams. Is that why I hated science? The sharing of space with other kids. All things I did not want. What a difference a week in the computer lab makes. All two hundred and fifty WRMS seventh graders now have blogs, and wow, are they looking good! We borrowed inspiration from Mr. Miller’s Blogging Boot Camp (thank you for posting this, Mr. Miller) and brought everyone into the computer lab for five consecutive days to get our blogs up and ready here at the start of the school year. Lessons on proper use of images and video will come later; for now, we’re ready to write! The timing of our abbreviated boot camp was just right to coincide with iPad roll out and this week’s library/lab orientation. Soon students will download the Edublogs app and connect their new blogs to their tablets (and to their smartphones if they have them). We are grateful to be a 1:1 iPad campus and plan to make good use of our technology in English class this year. Eventually, students in my class will be authorized to post here to the class blog, using it as a sort of literary magazine. In the meantime, check out some first posts on the individual blogs of period 4 and 2 students: Dillon discusses character arcs in a post about book endings, Ellie extols the deliciousness of cheesecake, James describes the fun of fishing, Olivia explores the “Writer’s I” and the joys of PB&J, and Steven writes about a mysterious adventure in his neighborhood. Keegan has a love for animals, Nick loves to read, Nina enjoys Friday night football games, Ryan is excited about his second year playing French horn in the band, and Sam compares and contrasts soccer with other sports. Do you like our avatars? Students found that their favorite avatar-building sites were Face Your Manga, Build Your Wild Self, and The Hero Factory. Tomorrow is our last day in the lab. Students who still have their first posts in draft status will publish, and everyone will create an “About Me” page by the mid-week. Our class is participating in the Edublogs Class Blog Challenge, so we’ll come up with a class “About Me” page for this year, too! “Favorite” Is a Verb? Ask Anyone Who Tweets! verb: 1. The act of placing something onto a list of favorite items. 2. 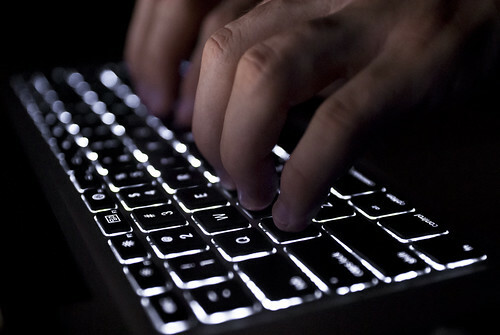 The act of placing a website onto the “favorites” list on a computer. I love the website pinterest.com so much that I am going to favorite it. What verbs did we miss? John makes some interesting points about the importance of public education, a topic that’s been in the news quite a bit lately. We’re fortunate to have a great school here at West Ridge, and I’m excited about the year ahead as we begin this seventh grade journey together. What are your thoughts about John Green’s message? Does he say something in particular that resonates with you?